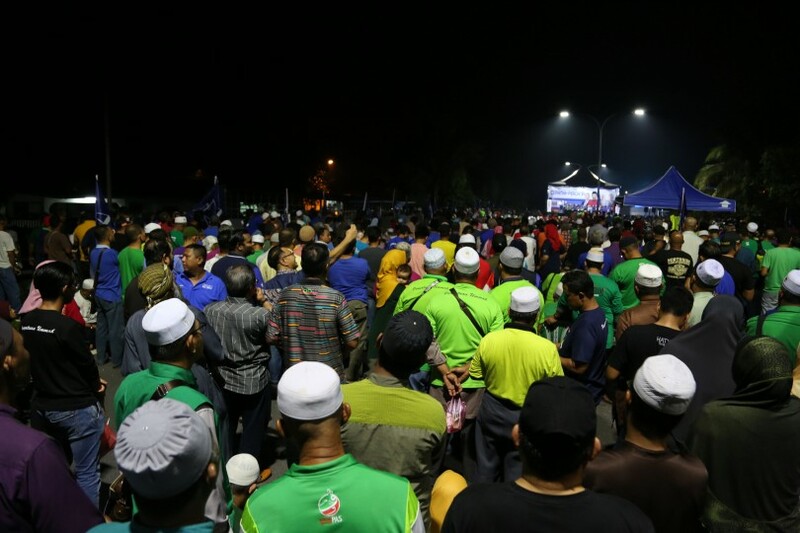 REMBAU – April 12, 2019: Two teary-eyed elderly women – one draped in blue, the other in green- were gripping each other’s palm as they said amen to a prayer for a Barisan Nasional’s (BN) victory in the Rantau by-election here last night. 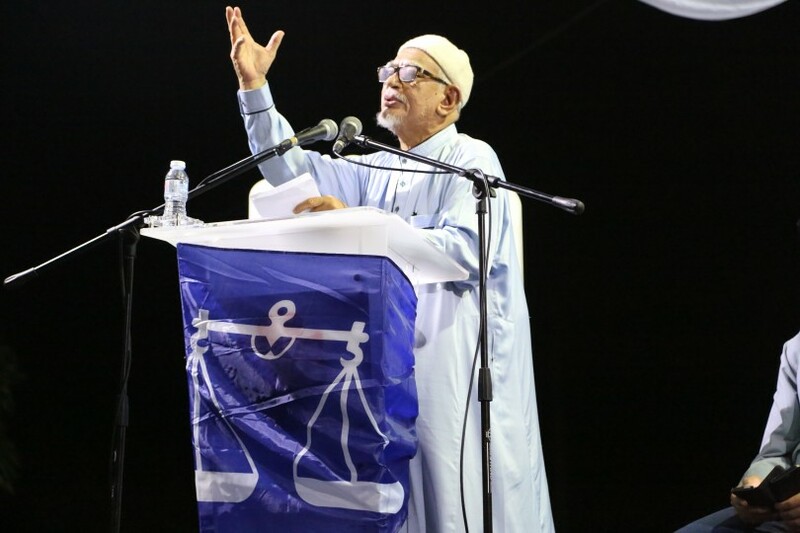 For the duo, who were in their late 60s, the prayer that was recited at a BN ceramah by Pas president Datuk Seri Abdul Hadi Awang, was a bittersweet moment given how Pas and BN, particularly Umno had spent much of their existence feuding against one another. “We’re childhood friends. 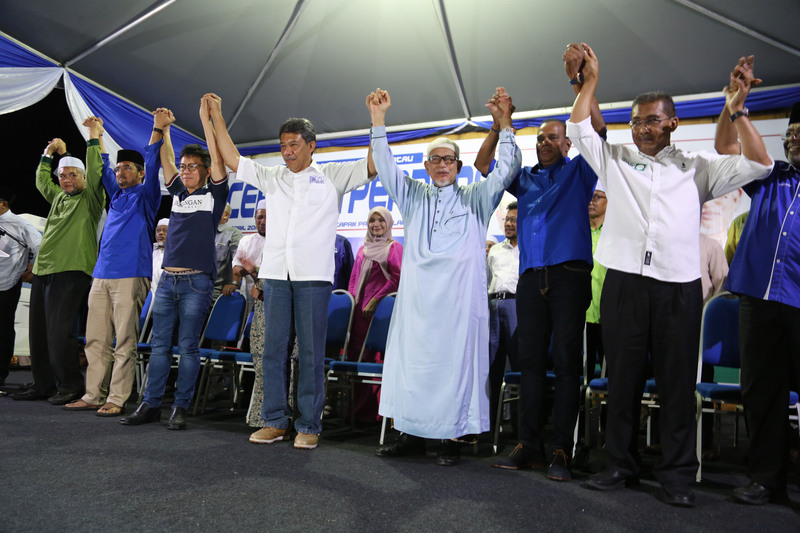 Politics don’t bother us so much but this Malay unity that they have been working so hard to shape up…it is very moving,” said Rokiah Saad who donned a blue baju kurung that denoted her affiliation to BN. 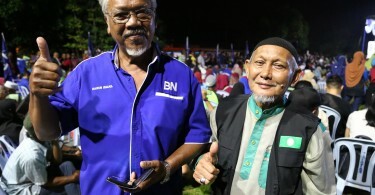 The Umno-Pas cooperation talk has been going on since before the Pakatan Harapan’s (PH) victory in the May 9 general election last year, but a formal agreement was only inked last month after BN won the Semenyih by-election, thanks largely to the assistance from Pas. 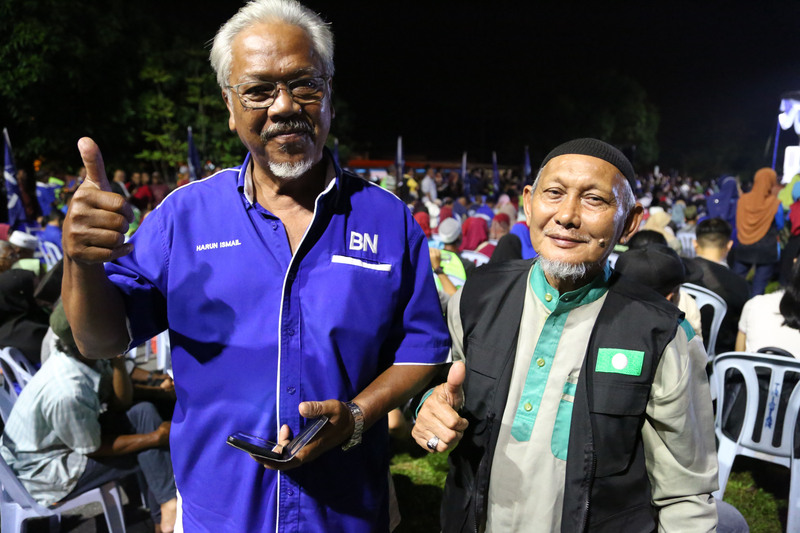 The cooperation that had won BN two by-elections had elicited a plethora of unkind remarks from PH, with the likening of the team-up to that of a Taliban tag-team being the staple scorn. 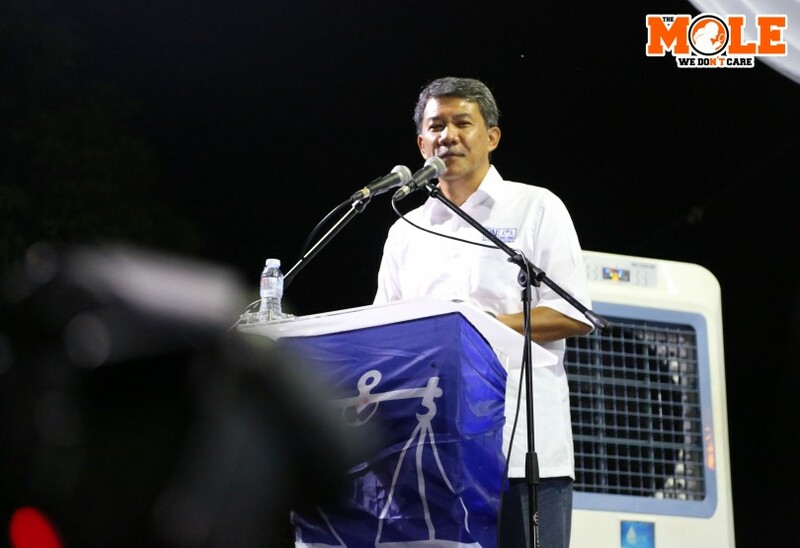 At last night’s rally in Taman Angsamas, BN candidate Datuk Seri Mohamad Hasan reiterated that the cooperation will not harm Malaysia’s racial harmony. “Don’t worry. 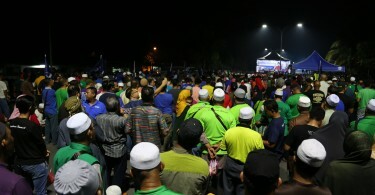 We just want to unite the country’s majority (Malay Muslim) race. 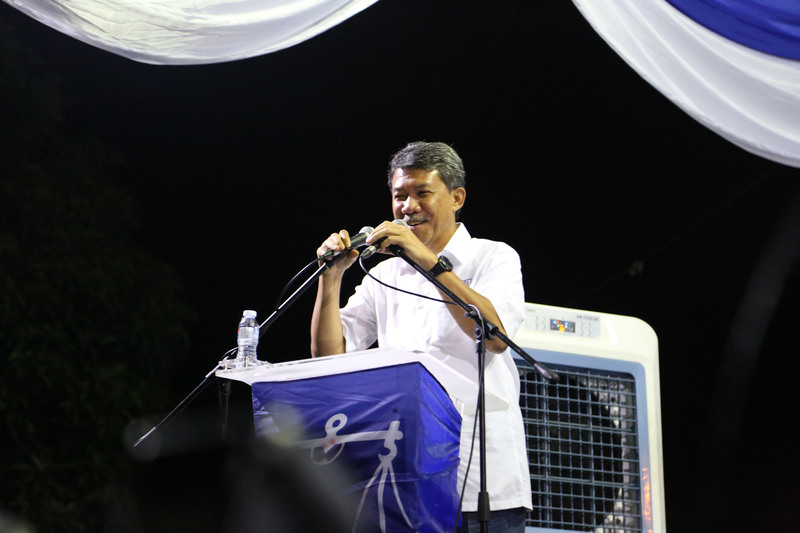 If this race unites, then the country’s political scenario will be stable and a stable political scenario will attract investors and that will lead to a strong economy which is good for everyone,” assured Mohamad. 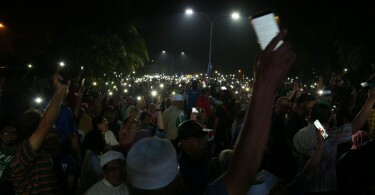 Critics of Mohamad may accuse him of merely paying lip service to fish for votes from among the non-Malays, but the locals, especially the Indians knew that what he said was not without merits. 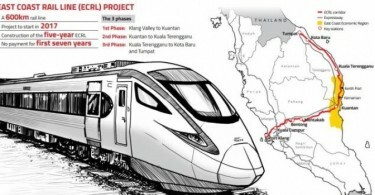 “There are 13 Hindu temples in Rantau. The most beautiful and modern Tamil school in the country is also in Rantau. 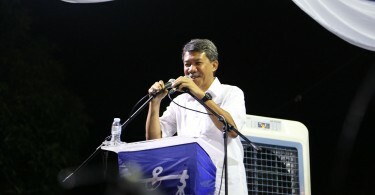 Would a racist Malay do that?” said Jeram Padang assemblyman Manickam Letchuman at an election rally on Wednesday night. 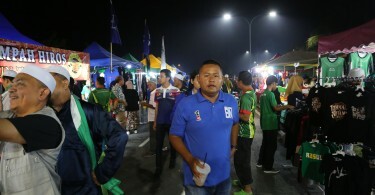 In Rantau, there were more temples than mosques because Mohamad, who has been the assemblyman there for three terms understood that the ancient Hindu epic, Mahabharata warned the Hindus against living in areas without a temple. 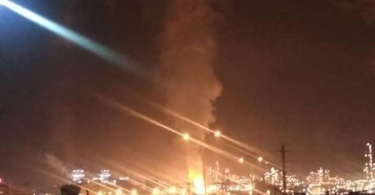 “The Mahabharata says, do not live in a valley where there are no temples. I learnt about that when I took Hindu studies at the university. 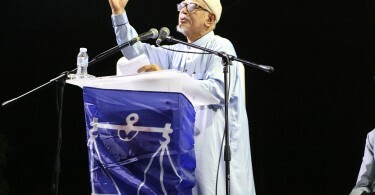 That is why I know how important temples are to the Hindus,” said Mohamad at the rally in Bandar Ekar on Wednesday rally. 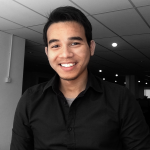 Whether such understanding will earn Mohamad the votes from the non-Malays is still anybody’s guess. 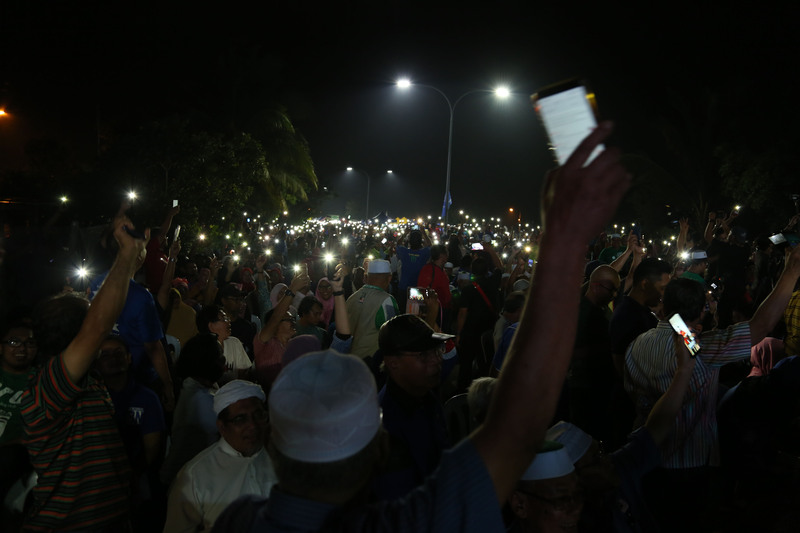 PH’s rallies for the by-election were so far mostly attended by non-Malays and when PKR president Datuk Seri Anwar Ibrahim danced to the tune of a Tamil song on stage recently, he received thunderous applauses from the crowd. 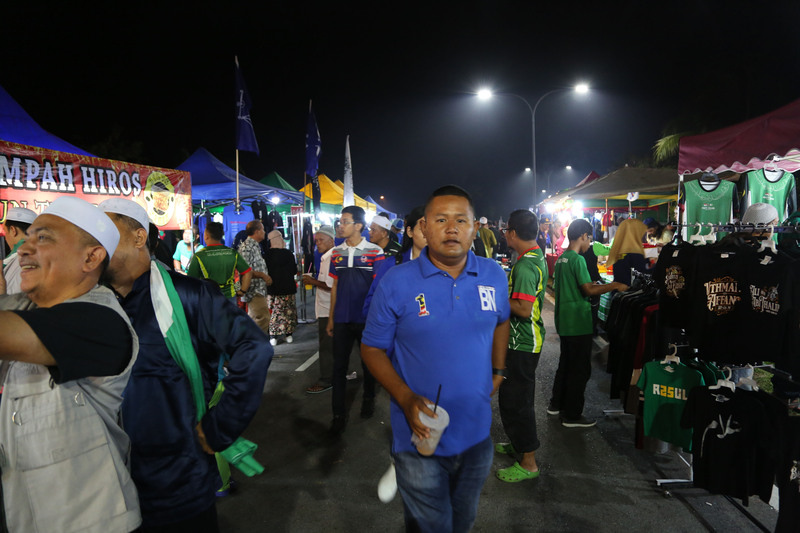 But the locals of Rantau are known to take politics lightheartedly. 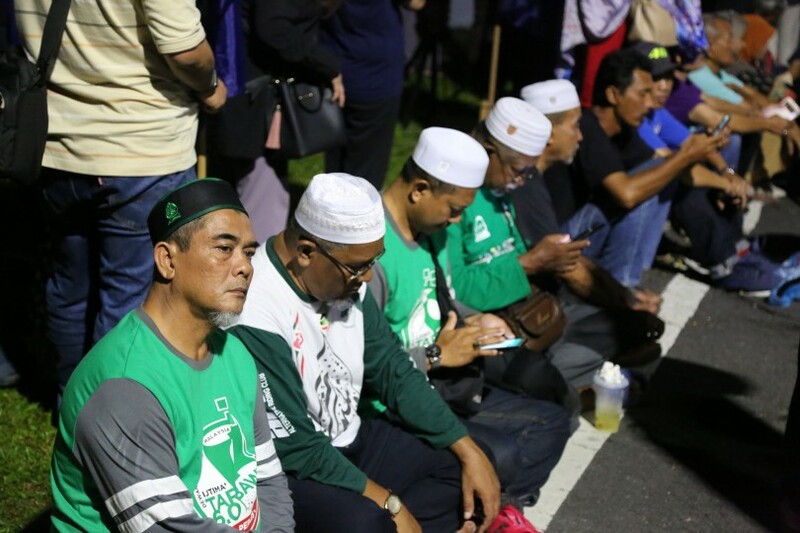 They are willing to nod appreciatively at Anwar’s promise to develop Rantau as well as laugh good-humouredly when Mohamad teased whether they have already taken their daily spoonful dose of palm oil as recently suggested by the PH government.